Got to the island a bit late around 7am. I quickly launched and paddled into South Bay arriving at 7:45. 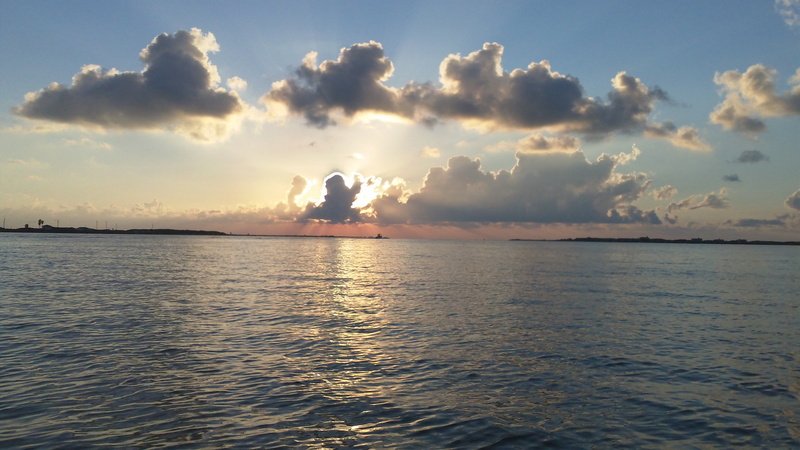 There was heavy boat traffic so I once again paddled through and got into position to work the edge of the shallows. I fished hard in the area for about 45mins with nothing but an under-sized trout which hit a top-water almost its own size! So I was left with a hard decision. Do I leave my spot which I know is productive and fish deeper in the bay? Or do I just wait it out? I opted for the long paddle deeper into South Bay to reset for a long drift or wade back towards the mouth. Cool thing about South Bay is that the winds are primary from South/South-East. This means that you can literally drift all the way back out of the bay and cover alot of water. So I spent another 45 mins just paddling again. Nothing is worse then spending all of your time paddling and not fishing. Finally I reached the back shoreline of South Bay. 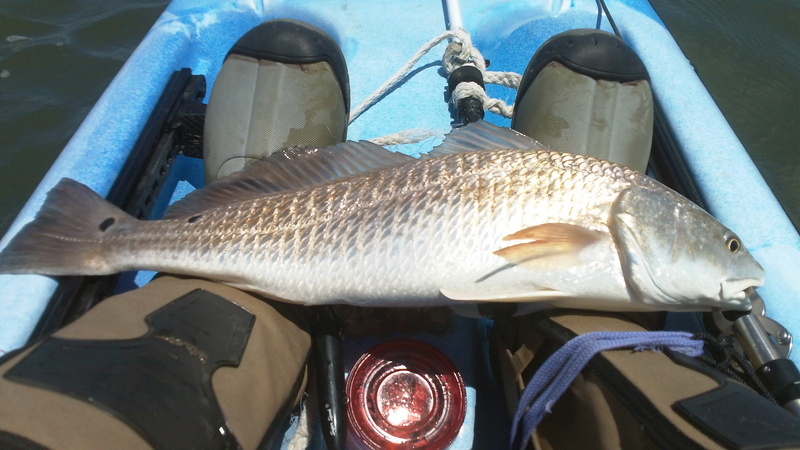 I jumped off my kayak and started wade-fishing and on my 2nd cast I caught an under-sized Red on a Baby 1 minus.The Baby 1 Minus is made by Mann’s Lures and is a crank-bait with a maximum depth of 1ft.It’s perfect for Redfish in shallow water. So I continued to work the crank-bait and wade for what seemed like 100yards up into bay with no results. Just when I was about to call it quits I caught another Rat-Red on the 1 minus. With that I decided to move again but this time to let the wind drift me back. caught on a Kelly Wiggler.